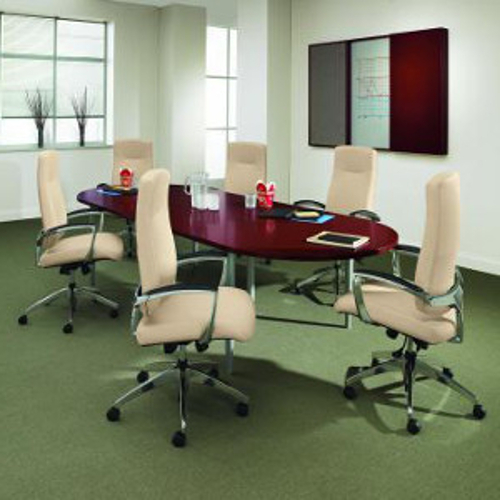 A great conference room can set the mood for a winning deal. Enter Newland conference tables. 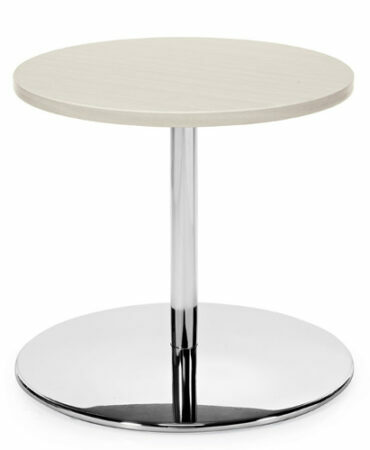 This table features thick veneered tops with ornate solid wood edge banding. This conference table is supported by hefty 2 inch post legs with adjustable glides. 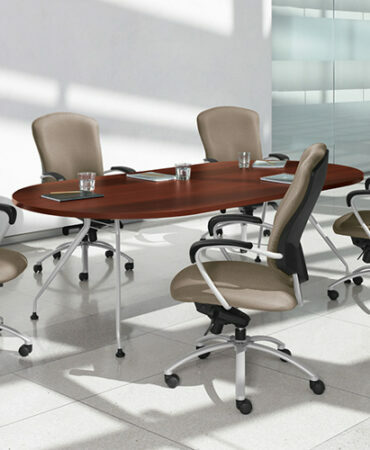 Newland conference tables come in many different finish options. 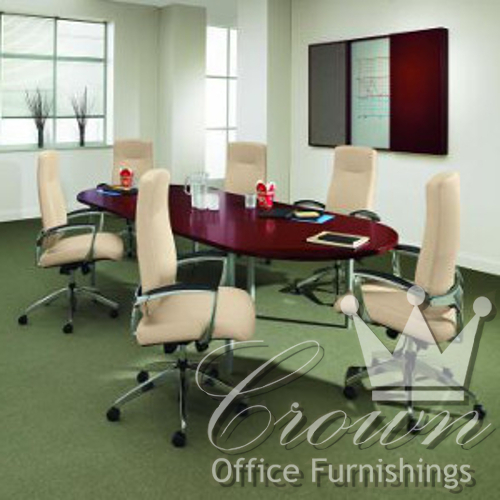 Crown Office furniture has the best selection of conference tables and furniture in Oklahoma.